English journal, The Hawaii Herald, and so on. It also plans and executes various events. 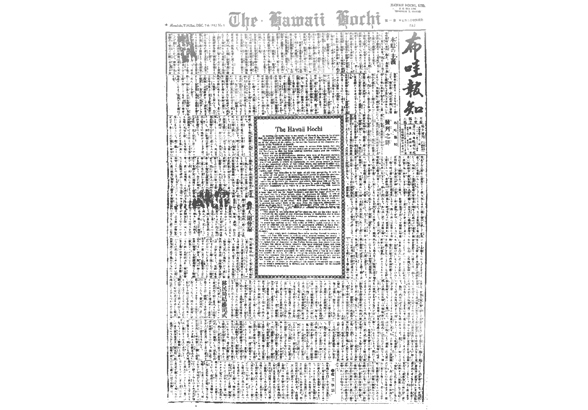 The Hawaii Hochi was established in 1912 and is Hawaii’s only Japanese-language weekday newspaper. 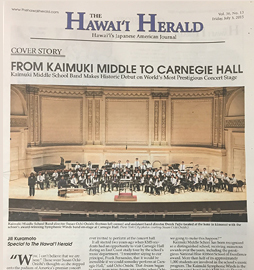 It is distributed statewide by mail and contains news of Hawaii, Japan, the mainland United States and other international news, as well as coverage of Hawaii’s Japanese community events and issues. 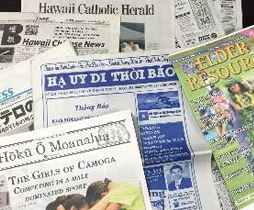 The Hawaii Hochi’s readership made up mainly of older second-generation Japanese Americans and transplants from Japan, including businesspeople presently working in Hawaii.Earlier this year, the Hawaii Hochi converted from a broadsheet to a tabloid format. The paper is supported through subscription fees and advertising sales. 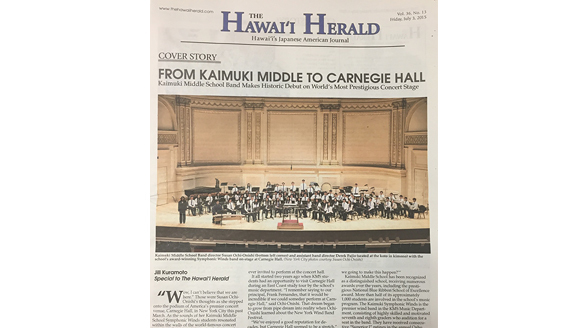 The Hawaii Herald has been publishing in English in its current format since 1980. The Herald is published on the first and third Fridays of every month. Its subscribers are mainly second-, third- and fourth-generation Japanese Americans who are interested in Japanese and Japanese American subjects, but cannot read Japanese. The online version of the Herald can be read at www.thehawaiiherald.com. It is released a week after the printed edition. Like the Hawaii Hochi, the Herald is supported through subscription fees and advertising sales. 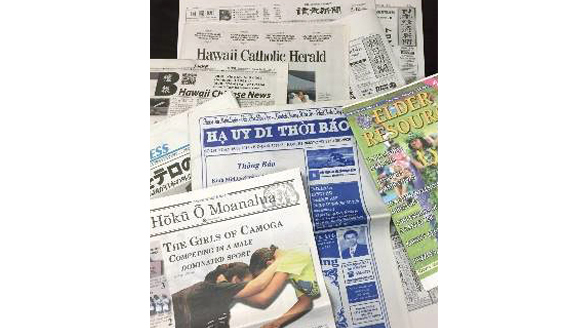 Other Publications printed by Hawaii Hochi, Ltd. 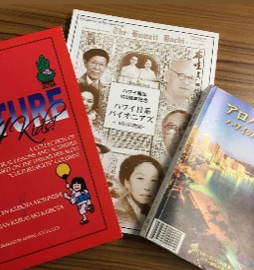 In addition to its own publications, Hawaii Hochi, Ltd. also prints the Nihon Keizai newspaper, Asahi Shimbun and the Yomiuri Shimbun on our press. Additionally, we print several local community and school publications. In all, we print over 40 different publications on our presses. 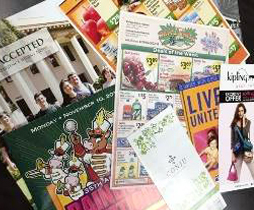 Hawaii Hochi, Ltd. is also a full-service commercial printer, specializing in a variety of printing jobs, from business cards to posters, pamphlets, flyers, magazines and more. We do both four-color and black-and-white printing. The “Aloha Annual” is published every two years by Hawaii Hochi, Ltd. This handy Japanese-language publication is filled with hundreds of facts and historical information on Hawaii. It also contains comprehensive information on Hawaii’s largest cultural and business organizations and associations.The “Aloha Annual” is an especially valuable resource for visitors and newcomers from Japan.“Hawaii’s AJA Pioneers,” which is published in both Japanese and English, features biographical sketches on 100 men and women of Japanese ancestry who impacted Hawaii’s Japanese American community. The Hawai Hochi is the only daily Japanese paper in the state of Hawaii, Founded in December, 1912 by Kinzaburo Makino, it continues to serve the Japanese-speaking community in the 50th state. In the first issue of his paper he setout its principles. They included the promotion of the intereste of Japan in the Territory, to help to develop their American children into patriotic citizens to strengthen Japan-Hawaii ties, and to act as an impartial mediater between Japanese and japanese, and Japanese and other. 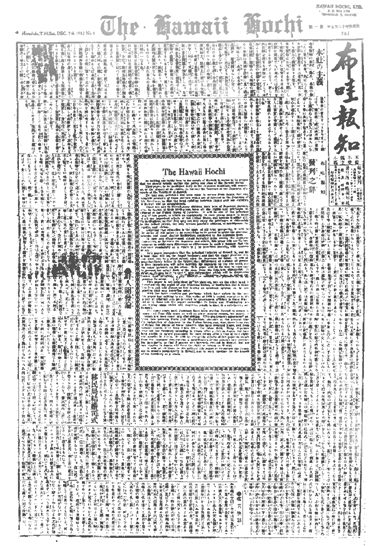 Following World WarII and the death of Makino in 1953, the newspaper was purchased by the late Konosuke Oishi, owner of the 'Shizuoka Simbun',in 1964. The purchase enabled investments in plant and modernization of equipment, beginning with the purchase of web offset press in 1968. 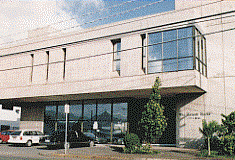 A new building was completed in time for the paper's 60th anniversary in 1972. Under Paul S Yempuku, President and publisher since 1967, the Hochi has become a major printing firm, and publications have expanded beyond the Japanese daily to include the bimonthly English language 'Hawaii Herald' four tourist publications, the monthly Japanese language business paper, 'Island Trend', and Yearbook. 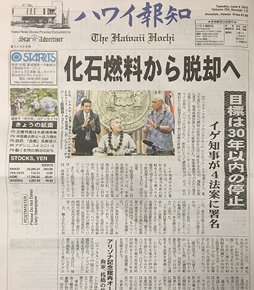 The daily newspaper has a continuing important role as the medium of communication to the large Japanese-speaking population in the state of Hawaii. Hawaii Hochi moves its offices to Queen street location. 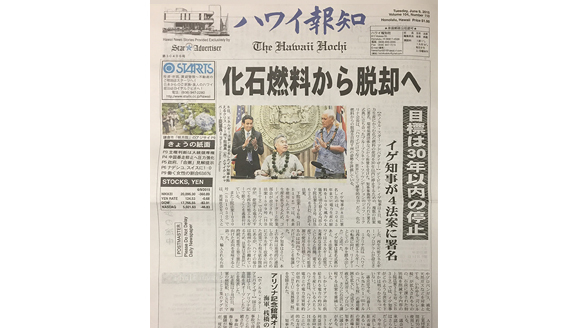 Hochi is named as one of only two officially recognized Japanese language newspapers in Hawaii. Hawaii Hochi is forced to temporarily change its name to"Hawaii Herald". Hochi erects new offices at present Kokea St. location and moves all business operations. Changes name of publication back to "The Hawaii Hochi". Yasutaka Fukushima is appointed as 3rd president of the Hawaii Hochi. Publishes 50th year commemorative issue of The Hawaii Hochi. Compaany is bought out by Shizuoka Shimbun and becomes dba "The Hawaii Hochi"
Tsuneichi Yamamoto is appointed as the 4th president. Hochi pruchases off-set printing press. Hochi publishes its 20,000th issue. Designed by architect Kenzo Tange the new Hawaii Hochi Bldg was built. Issue commemorating Hochi's 60th anniversary and New Building completion is published. The Aloha Paradise Guide is established to accommodate Japanese visitors. First publication of the "Aloha Nenkan". Begins to publish "Hawaii Hochi TV guide". Hawaii Hochi Business news begins publication. Changes name of the Hawaii Hochi business news to "Island Trends"
Publishes Hawaii Heralds 20th year edition. Hawaii Hochi acquires Television Magazine "Kokiku". Island Trnds and The Hawaii Hochi merges. Keiichi Tagata becomes 6th president of the Hawaii Hochi LTD. The Hawaii Hochi 100th year anniversary edition is Published. Digital printing Newspaper press "Jet Leader" is acquired, installed and begins operating. Taro Yoshida succeeds Keiichi Tagata as 7th President of The Hawaii Hochi. HAWAII-HOCHI,Ltd Address: 917 Kokea Street, Honolulu, Hawaii 96817 U.S.A.
All rights reserved Copyright The Hawaii Hochi Ltd.
& Shizuoka Shimbun & Shizuoka Broadcasting System.